Buckle up - it's sheer asphalt anarchy! As a fearless cab driver with attitude, your goal is to rack up the mega-bucks before your shift ends. It's a race against the clock as you pick up passengers and white-knuckle it through busy streets and back alleys to their various destinations. To keep that meter collecting cash, you've gotta take the fastest route possible, even if it means bending the traffic laws--just a little. Fun fun fun what more can I say. And my kids love playing this game. Great condition game and plays well. Like always thank you games. This is a fun game. Great for killing a few minutes as the gameplay is fast paced. Disk was in perfect condition. This game is definitely a wild ride, lots of fun to play and waste time with. Controls are tricky to get used to but once you do you're guaranteed to enjoy yourself. 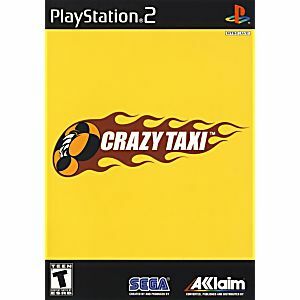 I'd played this on other platforms, so I knew what to expect: frantic pace, lots of humor, lots of action. My kids think it's hilarious to bang around the city desperately trying to get just one more fare. Gameplay is obviously repetitive, but that's the whole point: to beat your previous score, and learn the map better. I keep going back to play. Great game! THIS GAME IS IN GREAT CONDITION AND IS LIKE BRAND NEW. LUKIEGAMES NEVER LETS ME DOWN IN ANYTHING I HAVE EVER ORDERED. 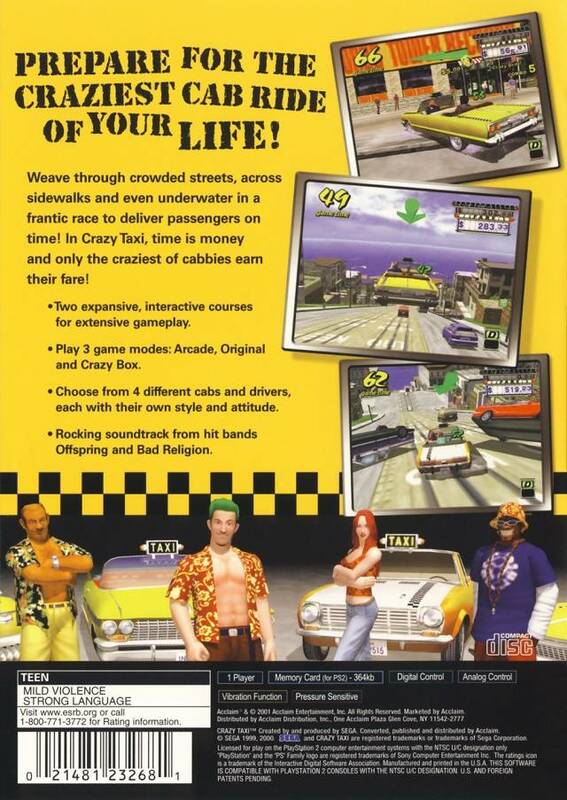 CRAZY TAXI IS A GREAT AND FUN GAME FOR THE WHOLE FAMILY TO PLAY, YOU WILL BE SURE TO LAUGH WHILE PLAYING THIS GAME. 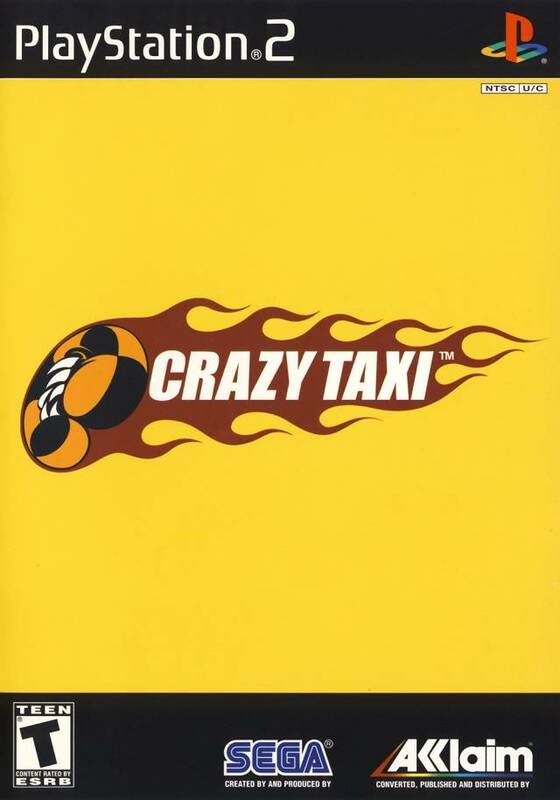 I HIGHLY RECOMEND THIS GAME! My game is in great condition and it works like new. Thank you Lukiegames! I really love this game. If you like racing games, then I'm sure you'll like this game.